Watermelons are a great and worthwhile fruit to have in the garden. As long as you have the space and the long summers necessary, there’s nothing quite like biting into a sweet and juicy melon you’ve grown yourself. So it can be really devastating to discover that your vines are suffering from disease, especially one as prevalent as cercospora leaf spot. Keep reading to learn more about recognizing and managing cercospora leaf spot of watermelons. 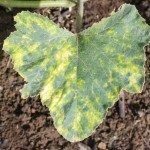 What is Watermelon Cercospora Leaf Spot? Cercospora leaf spot is a disease caused by the fungus Cercospora citrullina. It can affect all cucurbit crops (like cucumber and squash) but it is especially common on watermelons. The fungus usually only affects the leaves of the plant, though it can occasionally spread to the petioles and stems. Symptoms of cercospora on watermelon leaves begin as small, dark brown spots near the crown of the plant. If left untreated, the spots will spread to other leaves and develop a yellow halo. As the halos spread and become more numerous, they can join together and turn leaves yellow. Eventually, the leaves will drop. This leaf loss can result in reduced fruit size and quality. It can also leave the fruit open to harsh sun exposure, leading to sunburn. Cercospora fungus thrives in hot, moist conditions. 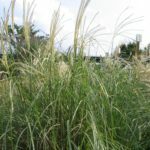 It can survive from season to season and spread through infected debris and cucurbit weeds and volunteer plants. The best way to prevent cercospora on watermelon crops is to clear away and destroy old infected tissue, and to control unwanted cucurbit plants in the garden. Rotate cucurbits in the same spot in your garden every three years. To combat the fungus in cercospora prone areas, begin a regular fungicide regimen as soon as runners develop on your watermelon vines.